This entry was posted in Farmland Preservation, Healthy Food, Land Use Planning, Local Food, Marine Land Farming, Sustainable Communities and tagged Farmland, Farmland Preservation, Sustainable, Urban Land Institute by Kathryn Gardow. Bookmark the permalink. 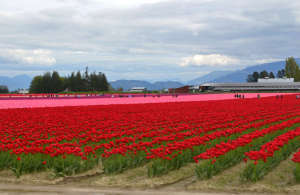 From Ellen Bynum, Friends of Skagit County: Thanks for reporting on Skagit County’s farmland. Key to the protection of 10% of Skagit’s farms is the Skagit Farmland Legacy Program, started in 1996 and managed by Skagit County. Using the WA State Conservation Futures Tax, local property tax is matched with Federal grants and has provided more than $22,000,0000 to purchase development rights to permanently protect the acres. 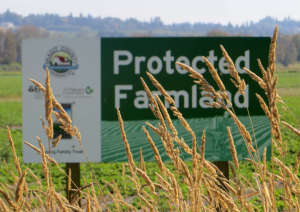 Individual contributions to the Farmland Legacy Program are fully tax-deductible and can be made to Skagit Farmland Legacy Program, 1800 Continental Place, Mount Vernon, WA 98273. Farmers cannot farm without the land. 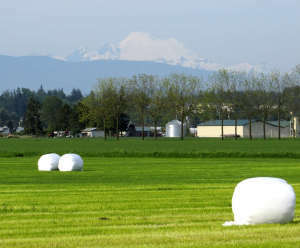 The biggest threat to Skagit farmland is conversion to other uses. 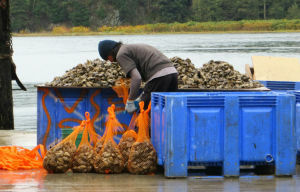 Two wetland mitigation banks in Skagit were created from a total of 1,100 acres of prime ag soils. Some of the acres may continue to be farmed, but most will become constructed wetlands. The Nookachamps loam soils (in the top 1% in productivity per acre in the world) were mined and sold for fill – under the new WalMart store in Mount Vernon, for example. In 2008 we counted 3,000 acres of converted farmland. At this rate it will not take long to convert the 90,000 acres of Skagit farmland from food production to other uses like fish & wildlife habitat, wetland banks, road widening, mitigation, etc. Friends of Skagit County made the first individual donation to the FLP and we ask that all of your readers do the same on an annual basis until all of Skagit’s farmland is protected forever. Tell your friends to help save Skagit farmland today!